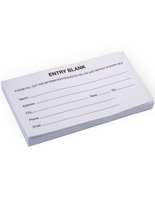 Are you looking for a unique promotional tool for a trade show, meeting or other public event? 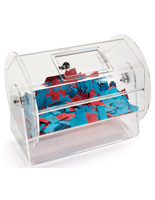 These raffle drums feature a wide variety of applications for any number of places. They can be spotted at sporting events, charity fund raisers, school events, bingo games, and other parties. 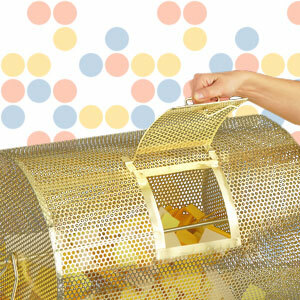 Raffle drums provide an easy method for collecting various tickets and ballots as well. Collection containers like these are designed to keep their contents from being tampered with via locks. 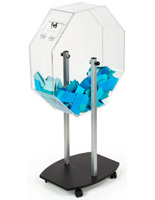 Each floor-standing or countertop ballot fixture is designed to last for years with their sturdy steel or acrylic construction. 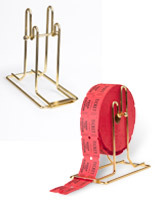 Spinning tumblers can be taken to a carnival one week, then used it again at an office party another week. These spinners feature a lightweight design that makes it easy to bring them to any new location. 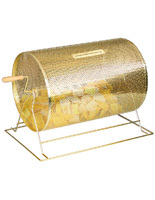 This distinctive raffle drum, or drawing container, is a great addition to any event! Where can these ticket drums be found? 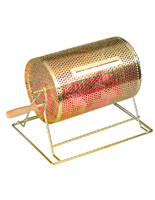 These raffle drums are used for fundraiser drawings of all sorts to collect tickets and other entries for auctions, contests, and other charitable causes. Offices and schools can use as a fun accessory to their parties, providing entertainment and presents to their guests. 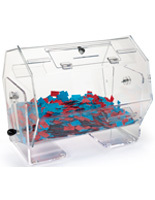 Tumblers like these are an old standard at bingo games, providing a space to hold numbers. The hinged door makes it easy for callers to grab the next piece out of the roller. Their clear, see-through construction allows everybody to see inside, helping to prevent cheating as well. 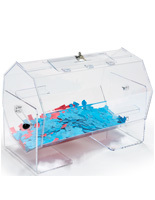 These tamper-resistant collection bins make them a useful choice during elections. They can be found at clubs, committees, even in town governments as a way to collect the needed ballots and keep them confidential and secure until it comes to tally them up. While rotating wheels vary greatly in size, they all share features that make them incredibly functional and useful. All spinning drums are manufactured out of either heavy duty acrylic or steel to last for years. No matter what material they’re made of, these countertop or floor-standing spinners are designed to have a smooth, easy rotation. Some models utilize handles to spin, while others need a simple push of the fingers to set it rotating. 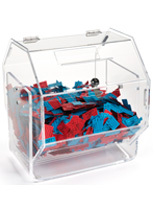 Drums for drawings like these feature built in slots to deposit their ballots or ticket stubs. The slots are small enough to prevent from people from reaching into the container. This combined with the built-in lock and key systems that keep the hinged doors securely closed helps to resist tampering. 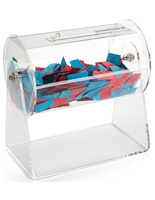 When it comes time to spin, slide the magnetic slot cover shut to keep all of the entries inside as well. For a design that's a little more upscale than the acrylic models, we offer a few countertop tumblers crafted out of a high quality steel with a brass finish. The highly polished metal brings a distinctive and elegant look no matter where they’re used. This makes them great drawing tools for black-tie charity functions and any other setting where a little extra style is desired. However, countertop brass models lack locking cages like those of the acrylic tumblers. Another unique option of is these plastic fixtures is their included floor-standing base. The wheels at the bottom allow these holders to be brought almost anywhere by simply pushing it into place, however some assembly is required. 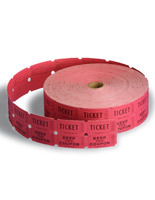 Also available for purchase are rolls of red tickets for almost any event.